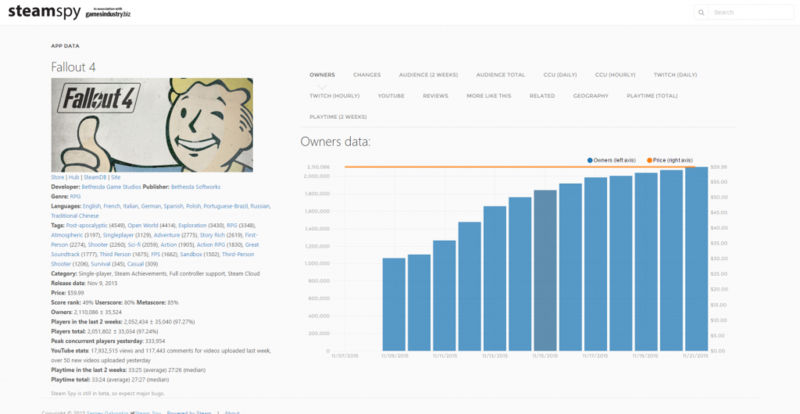 Bethesda Softworks shipped almost 12 million copies of Fallout 4 worth of $750 million and on Steam sales report says over 2 million copies of Fallout 4 have been sold so far. Within 12 days Fallout 4 sales reaches this high we only can expect that this will continue to rise. In near future or more precisely within a month Fallout 4 sale will achieve 4-5 million mark on steam.